Grinding sounds while asleep, headaches, tooth sensitivity to hot and cold, broken or chipped teeth, stiffness and pain in the jaw joint, loose teeth, flattened or worn tooth surfaces. 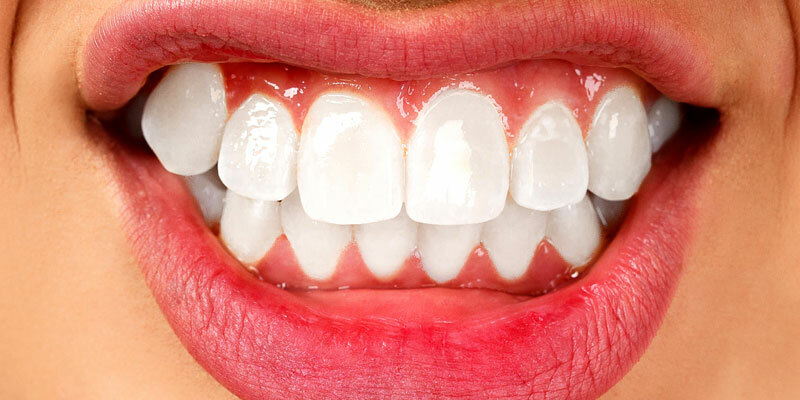 Factors that cause teeth grinding or clenching known as Bruxism can be from emotional stress, such as anger or anxiety, physical stress, illness, poor nutrition or long-term pain can tend to make people start this habit. Some people when concentrating tend to clench their teeth. Also fillings that are too high, drug use (particularly amphetamines) and also with children when they are teething. Having an examination with your dentist to make an accurate diagnosis is important to ensure correct treatment. The dentist will locate where the pain/stiffness is coming from, will check to see if your bite is correctly balanced. If they find it is stress related they may recommend relaxation methods. They will show you how the resting position of your mouth is supposed to be. If the problem still is accruing after this the dentist may recommend a night splint (night guard). Worn at night the splint is made up of hard plastic that fits over your teeth and prevents further wear and chips to the teeth’s surfaces. Book online right away so we can find the proper solution for you.